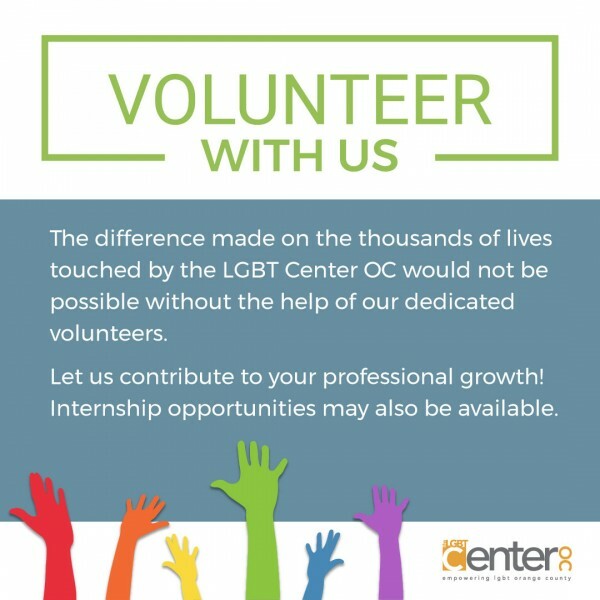 The LGBT Center OC provides education, resources and referrals to low-income and indigent, HIV-affected, documented and undocumented immigrants/migrants. 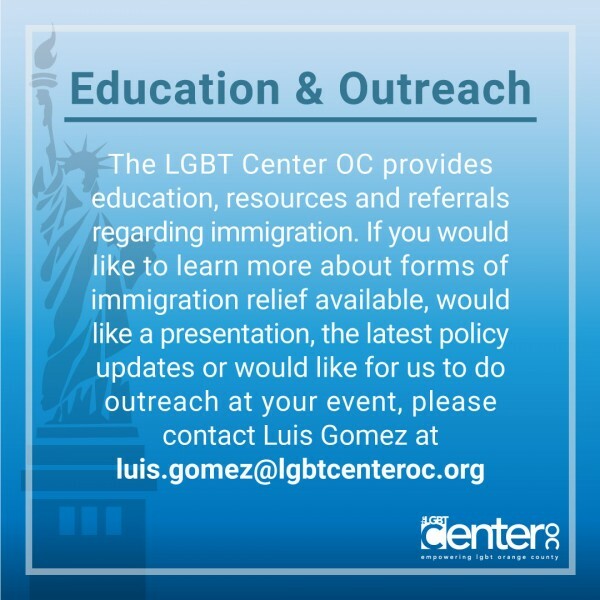 We work with immigrants and refugees in accessing services and legal support for obtaining lawful immigrant or citizenship status in Orange County. At the local, statewide and national levels, we work with LGBTQ, immigrant rights and social justice advocates to fight for the dignity and rights of immigrants and refugees. The websites and organizations listed below will be updated regularly to provide information and resources that address changes in immigration policies and the ongoing threats to immigrants.